Jürgen Stein, Director of the Wilderness Königsbrücker Heide informed the European Wilderness Society of the final touches of the modification of their new legal framework. He also prepared for Garry Oye, Wilderness Specialist from the US National Park Service and a team from the European Wilderness Service, to visit and discuss the Wilderness in this former Military Training Area. With the passing of the Wilderness Act in 1964, we recognized, that the the United States was rather developed. There were roads everywhere and the urban areas grew fast. The rapid industrilization after the second world war alarmed the society and the US Congress was of the opinion to protect wilderness since they were special areas with natural dynamic open ended processes. 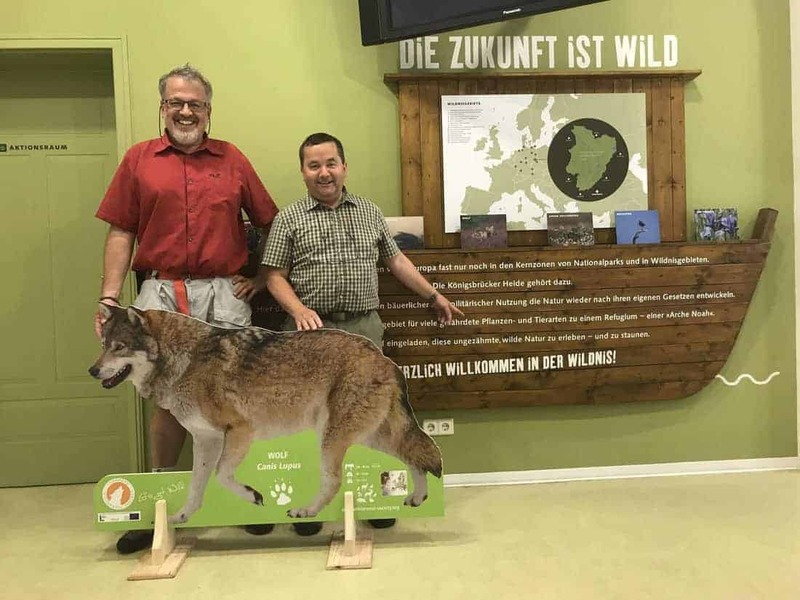 Jürgen Stein also thanked the European Wilderness Society for receiving a life size wolf display for their exhibition.